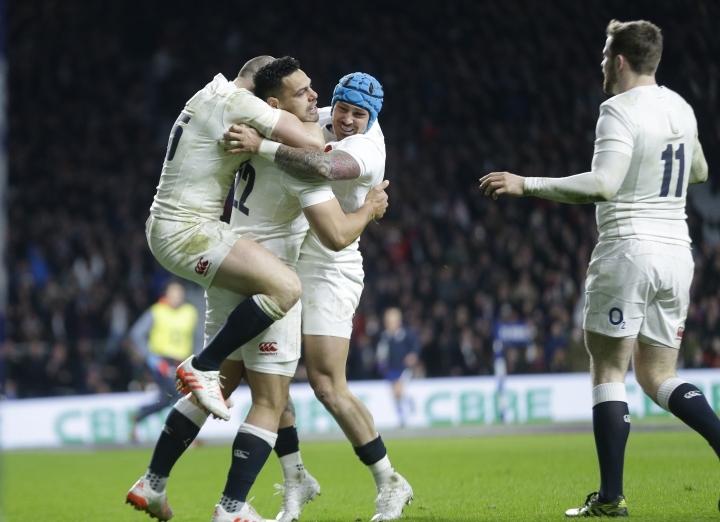 LONDON — England came back twice to edge France 19-16 and set a new national record for consecutive victories in a shaky start to its Six Nations title defense on Saturday. England's 15th straight win dating to 2015, and 14th under coach Eddie Jones, was easily its poorest display in the streak. 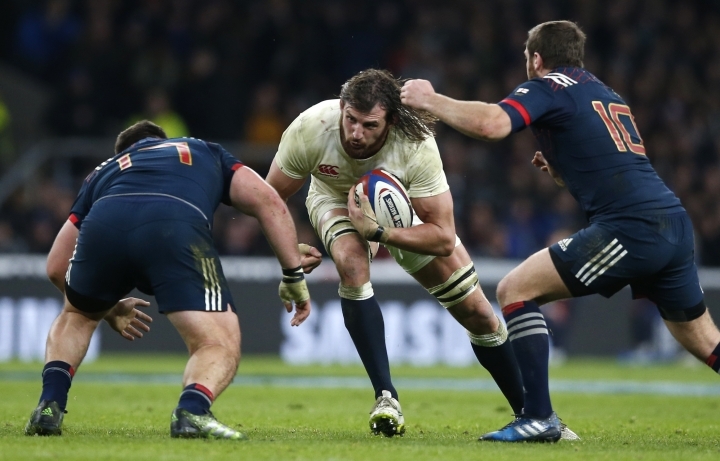 The English defense was narrow, their set-pieces were stressed, and they missed 24 tackles, almost twice as many as France. The English were sluggish and sloppy until replacements in the last 15 minutes made a difference. "We can't get much uglier than that," Jones said. "For some reason we sat back in the first half, we weren't our usual urgent selves. Maybe the preparation I gave the team wasn't good enough. "It was quite strange. At halftime, we weren't even panting. It was like we hadn't even played a game of rugby. So the second half was much better." France was leading 16-12 after scoring the first try through replacement prop Rabah Slimani. But minutes later, Slimani was penalized for collapsing a scrum, and England set up an attacking lineout. When the drive stalled, James Haskell, on for six minutes, charged upfield. Jack Nowell, on for two minutes, took the ball to the line. 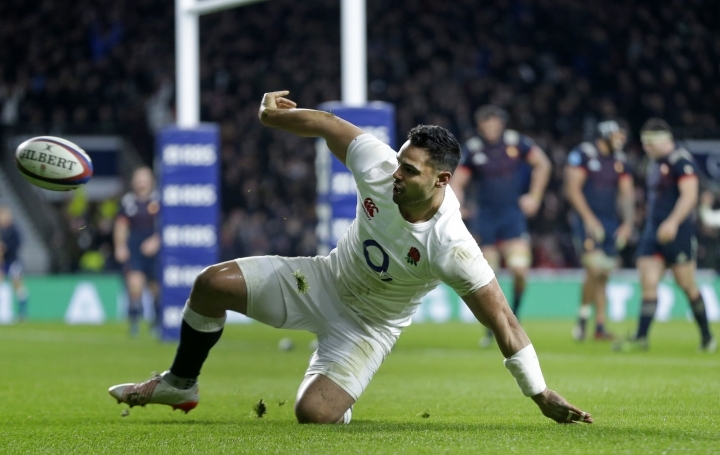 Then flyhalf Owen Farrell fed Ben Te'o, on for two minutes, in a gap and he burst past three defenders to score the match-winning try with 10 minutes to go. England held on with more authority than it showed in the previous 70 minutes, and win No. 15 eclipsed the record streak of the great 2002-03 side. France ended the run of Martin Johnson's team in a warmup for the 2003 Rugby World Cup, and these Tricolors looked like they were capable of repeating history. Led by relentless No. 8 Louis Picamoles, France's offloads created deep inroads into England. Scrumhalf Baptiste Serin and wings Virimi Vakatawa and Noa Nakaitaci were always threatening and England's defense was at pains to contain them. But contain them they did. "We were awful but I thought we were always going to win the game," Jones said. "That's what I like about the boys; even when things aren't going right they've got a good attitude." While England wing Jonny May was in the sin-bin for an illegal tackle, Camille Lopez kicked France 9-3 ahead. By halftime, Farrell and Elliot Daly kicked England back on even terms even though the home side looked second best. England should have gone ahead early in the second half, but a Farrell penalty hit the posts, and Daly was tackled into touch by Nakaitaci in the act of scoring a try. Those misses appeared costly when England errors gave France an opening, and offloads by Sebastien Vahaamahina and Kevin Gourdon sent in fellow forward Slimani beside the posts. Lopez converted for 16-12 and the French were on the verge of their first win at Twickenham since 2005. But Jones sent in his reserves, his "finishers" as they're called in the team, and they did the job. Haskell starred in the series sweep in Australia last June but hadn't featured since then because of a foot injury. He was picked having played less than an hour of rugby. And Te'o, the former rugby league convert from New Zealand, made his most telling contribution yet in his fourth cap. Jones was nonplussed about their record streak. "The only thing that matters is we want to be Six Nations champions, and that starts now by beating Wales next week," he said. "If we win the Six Nations I will stand up here and do handstands. I will be that happy."